Click the school bus image below to use the school/transportation search tool (bus route locator). District 87 utilizes a state-of-the-art software program that provides routing and mapping capabilities that optimize our transportation network: routing efficiencies that result in reduction of route times & number of routes (and related costs); improved communication tools including online information for parents/students; reporting capabilities and more. Note: Bus routes may be different from one school year to the next as routes are re-evaluated. First Student Inc. provides transportation for: daily a.m. and p.m. routes; daily routes to Technology Center of DuPage (TCD); athletic and extra-curricular routes and after-school routes for students participating in activities. Hopewell Transportation provides transportation for our students with special needs. District 87 students are entitled to bus transportation at no charge if the student is a resident of District 87 and lives 1.5 miles or more from the school that he/she attends. Students whose path is through a serious safety hazard are eligible for free busing, even if they live less than 1.5 miles from school. Families can click on the Versatrans Logo (below or above) to determine their student’s eligibility for bus service and details regarding their student’s route (stop location; a.m. pickup time; p.m. drop-off time). The District 87 Board of Education policy allows District 87 students who live less than 1.5 miles from school the ability to ride the bus on a fee basis. This optional fee is $300 per year, per student for the school year. There must be capacity on the bus and the student must be transported from an existing route and existing bus stop. A request form must be completed and presented to District 87 Director of Transportation for review and approval prior to student ridership. The fee must be paid in advance. The form is available by clicking here. District 87 students eligible to ride the bus will be required to display their student ID to the bus driver upon entering the bus for both the AM and PM routes. Students unable to produce their ID will be required to receive a temporary pass from the Dean’s office to ride the PM bus. The first temporary pass will be excused; however, any additional temporary passes issued will result in a Dean intervention. 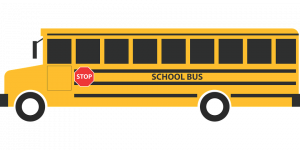 Students are encouraged to get the temporary pass from the Dean’s office during the school day to assure they will be able to ride on the normally scheduled PM bus. If the student does not present a temporary pass in time to make the normally scheduled bus, they will have to wait until the 4:00 PM bus and present the pass. Students will be responsible for riding their designated bus. Bus drivers and school administrators will deny requests for students to ride other routes than previously assigned unless pre-approved by the Dean’s office.